AMS offer same day (STA) wood waste skip hire, the service is affordable, efficient and available to businesses, individuals and contractors. We can deliver skips Monday to Saturday in all BH postcodes including Bournemouth, Poole and Wimborne. 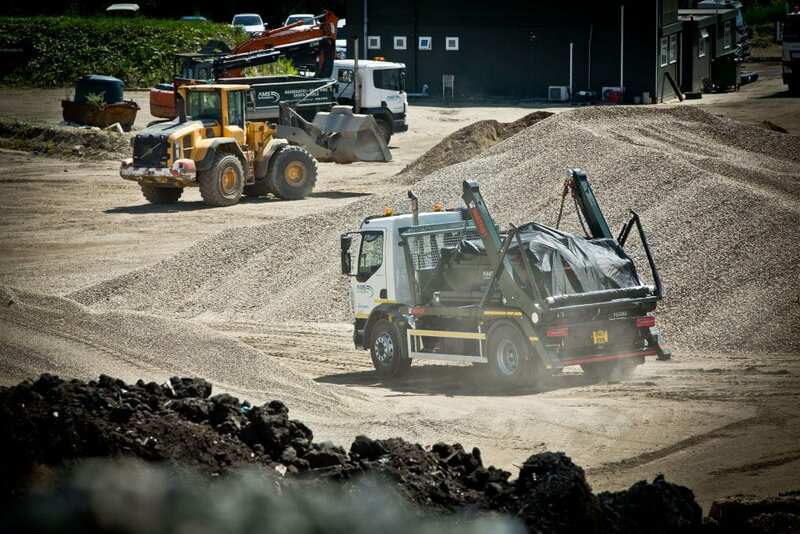 We also provide skips for other waste types including; mixed household, commercial & industrial, construction & demolition, plasterboard, garden / green and inert. For skip hire prices, please call 01202 579579. For environmental purposes and to achieve reduced disposal costs, individuals and businesses are encouraged to remove wood waste from mixed waste streams and to segregate it as either grade A, B or C, as classified by the EA (Environmental Agency). For further information, please visit the Environment Agency website. We offer three different sizes of skip for the disposal of wood waste, our smallest skip is 6 yards, you should expect to be able to fill this skip with the equivalent of around 60 bin bags. We also offer an 8 yard skip and our biggest skip is 12 yards, so is more suited for larger loads and will dispose of the equivalent of 120 bin bags. Please note, these figures are estimations and meant for guidance only. If you’re unsure which skip size would suit your wood waste the best, please call our expert team on 01202 579579. Our wood waste skip hire service is reliable, fully licensed and if you require, it can include the provision of ‘on road’ permits, safety lights and cones. What is the cost of wood waste skip hire? Our skip hire quotes in the local areas are very competitive and we work hard to stay ahead of our competitors and therefore advise all our clients to call us on 01202 579579 to receive the very best prices. Whatever volume of wood waste you have, AMS have the solution, whether it’s a 6, 8 yard or 12 yard skip, rollonoff container, grab lorry or skip bag. Discuss your needs with our experts on 01202 579579.